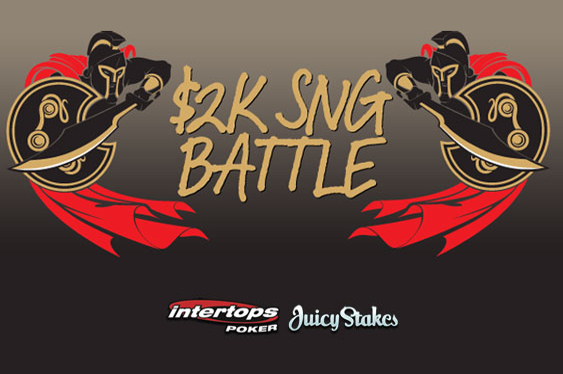 Fans of sit-and-go competitions are in for a real treat next week as Juicy Stakes and Intertops Poker kick off their 2K SnG Battle leaderboard promotion with $4,000 in total cash for top-performing players. Set to begin on Tuesday at the Revolution Poker Network sites, the 2K SnG Battle promotion will see the 30 top-ranked sit-and-go leaderboard players split $2,000 on September 7 while another $2,000 is to be handed out to a similar number competing from September 8 to 14. Juicy Stakes and Intertops Poker declared that each week’s $2,000 cash prize is to be split between players in sit-and-go competitions ‘with a buy-in of up to $5 and between $5 and $10’. Promotion will see online poker sites awarding 30 sit-and-go players each week with a share of $2,000 in cash. “The higher your buy-in, the more players you play against and the better you place, the more points you earn towards your ranking,” read a statement from Intertops Poker.